Not long ago a dollar was backed by the promise that it could be exchanged for gold or silver. To back up that promise the US gold reserve was established at Fort Knox in Tennessee, for example. The confidence of our people, and of the rest of the world, in our currency was far less certain than it is today. The gold standard was perhaps a necessary step towards establishing the good faith of the US Government. Look at a dollar bill and you will see that it is a Federal Reserve Note. Before the creation of the Federal Reserve Bank, many banks issued their own currency, or “bank notes”. The worthiness of those bank notes wasn’t consistent. The Federal Reserve Bank standardized and stabilized our national currency. It’s important to remember that the word “note” is another word for an I.O.U. A bank note is a promise that a coin or a paper document can be exchanged for a stated amount of tangible value. I recently saw “Junk” on Broadway. It is a play partially based on the story of Wall Street financier Michael Milken. It is a cautionary tale of money and corruption. Milken’s new approach to finance made him a billion dollars over just four years in the 1980’s. He was like a god on Wall Street and all the normal rules didn’t seem to apply to him, until he got caught breaking the laws he ignored. More than that, Junk is the story of the paradigm shift Milken pioneered in how modern bankers and business leaders have come to understand wealth and power. It is a view of wealth that can be summed up by the slogan, “debt is an asset”. Specifically, any financial instrument that reliably conveys the promise of value to another person or entity can be used as a form of currency. Government regulated Federal Reserve Notes are no longer central to the exchange of wealth. Nor is any physical collateral or real estate necessary. It seems almost any promise of payment for money owed is sufficient to make financial transactions on Wall Street. These creative financial instruments often have cleaver name and deceptive structures. They are increasingly complex and difficult to understand or regulate. But they all have one thing in common, they are all based on debt. They all create wealth on a promise. In Milken’s case, he began with generating cash by selling very high risk, but high yield bonds and then using those bonds as collateral to finance corporate takeovers. These “junk bonds” (as they are still called) were used like currency to finance “leveraged buyouts” of other businesses. Whole divisions within companies purchased in these buyouts often had to be chopped up and sold off to pay back these high interest bonds. The charges brought against Milken were ordinary financial crimes, such as insider trading. But his creative financing lead to a whole new banking culture that upended how business was conducted around the world. It has lead to an economic environment where new methods for wealth extraction competes against more conventional methods of wealth creation on a global scale. The growing methods and culture of wealth extraction transfers wealth but doesn’t create new wealth. It doesn’t grow or manufacture anything. It only creates more opportunities for the wealthy to grow richer while disadvantaging mid-sized businesses and manufacturers. It is one of the drivers leading us into the next gilded age, but it hard to see just where it is taking us. It is harder still to know what we can do make our economy work for everyone again. President Trump and some Republicans in Congress want the Department of Justice to investigate Trumps political opponent, Hillary Clinton. Specifically they want a Special Counsel appointed to investigate her ties to the sale of US uranium to Russia. Attorney General Jeff Sessions squirmed under pressure to act from a GOP congressmen at a hearing on November 14, 2017. A President calling for criminal investigations of his political opponents is abhorrent in any modern democracy. In this particular case a second Special Counsel investigation would also give Trump political leverage to further obstruct the efforts of Robert Mueller’s investigation of Trump’s ties to Russia. 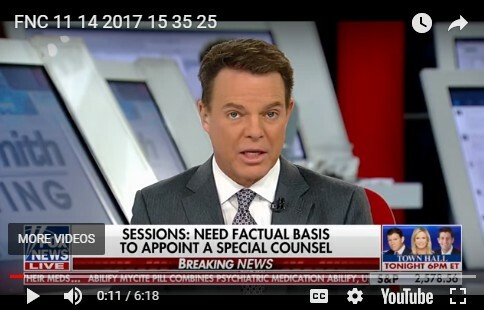 But I suspect the biggest reason Jeff Sessions squirmed when pressed to appoint a Special Counsel was because there is simply no basis to investigate anything connecting Hillary to Uranium One sales. Here are the essential facts in a timeline format. 2005 – Bill Clinton and Frank Giustra, a Canadian mining financier with an interest in the UrAsia Mining Company, visit Kazakhstan. Kazakhstan is an independent country that was once under the control of the former Soviet Union. Not long after the Guistra visit, UrAsia Mining receives a lucrative mining contract in Kazakhstan. 2006 – Frank Giustra donates $31.3 million to the Clinton Foundation. 2007 – UrAsia Mining Company merges with South Africa Mining Company to become the Uranium One Company. Frank Giustra sells his financial interests in the company. 2008-2010 – During this period several active investors with an interest in Uranium One Company and a former investor (Giustra ) donate more than $8 million to the Clinton Foundation. Donation from just the active investors totaled just over $4 million. The Clinton Foundation omitted these active donors’ names in a US Government filing document, later admitting that information was omitted by mistake. 2009 – Hillary Clinton becomes Secretary of State. Later that same year, Rosetom, a Russian mining company, begins buying a stake in Uranium One. 2010 – The CFIUS committee, comprised of the Secretary of the US Treasury Department and department heads at the Justice Department, Homeland Security, Consumer Affairs, the Defense Department, The State Department, the Energy Department, The office of US Trade Representatives and the Science and Technology Policy group, approve the sale a controlling interest in the Uranium One Company to the Rosetom company. At the time of the approval, the State Department’s CFIUS representative was the Assistant Secretary of State, Jose Fernando (not Hillary Clinton). Had any one of these agency heads objected to the sale the matter would have gone to the President to decide. The purchase of a controlling interest in Uranium One by Rosetom did not involve or allow the export of uranium to Russia. 2017 – President Donald Trump and Republican members of Congress call for a criminal Investigation of Hillary Clinton’s connections to this uranium sale that took place seven years prior. That’s it. If there was a quid pro quo arrangement between Hillary Clinton and Uranium One or Rosetom it isn’t apparent from the facts, as least not to me. There are other facts that advocates of a Hillary prosecution toss into the mix (speakers fees, etc. ), but they have little apparent relationship to the essential accusation the Republicans are making. If Hillary Clinton could no, and did not, contribute anything of value to the parties involved in the sale of financial interests in Uranium One, then there was no quid pro quo, no bribery to investigate. I don’t mean to offend anyone who enjoys sports, but professional sports have become a primary distraction keeping us from our due diligence to be well informed and actively engaged in the level of civil discourse our democracy requires. (This doesn’t apply to everyone who likes sports). So when folks are upset that politics is infringing on sports, they affirm the role of sport as a means to avoid uncomfortable conversations. Most Americans have developed a superficial relationship to politics (Including many in the media who cover it like a sport). Politics as sport is all process and insider intrigue. It is devoid of real substance or depth behind the reported facts. We lose sight of the real world consequences that bad policy decisions have on our lives. Current events are forcing us to confront politics as we haven’t done in years. It’s a good development, but it will take time to get use to talking about politics with our neighbors again. It will take time to gather the essential facts we should have, facts that have been missing or withheld from us for years. And it will test our patience and tolerance as we begin to bridge the gaps that have come to divided us. So let’s hang in there and keep talking.